Mary Magdalene is one of the most popular characters in the Book of the Gospels. For various and different reasons she is portrayed as either the repentant prostitute or the noble lady who was an inspired leader in the early Church . The decline of Mary Magdalene's reputation as Apostle and Leader most likely began shortly after her death. The transformation to Penitent Prostitute was sealed on September 14th 591, when in Pope Gregory The Great’s homily he pronounced that Mary in Luke’s unnamed sinner and Mary of Bethany were the same person. 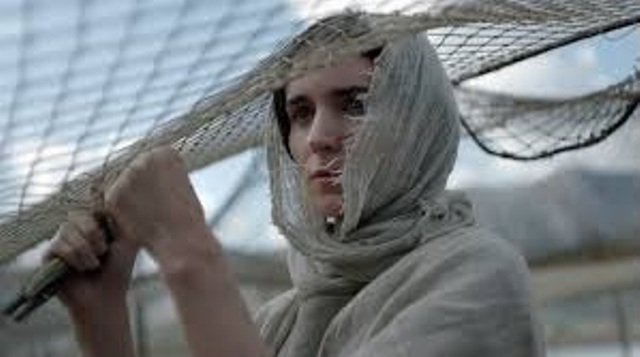 The film’s director, Garth Davis was anxious to portray Mary as a very respectable woman who lived and worked in the Fishing Trade in Magdala. Here in her lakeside home town Mary (Rooney Mara) is held in high respect especially by the women. From the opening scene of the film she is shown for her ability to calm a young girl in the process of birthing a healthy baby. She is in demand as one who cares for others in the very busy fishing port. In the film Mary comes over as a strong, gentle, popular character who refuses to be ‘married off’ as she has heard of a healer called Jesus whom she is anxious to meet. Mary follows Jesus and appears to be the first woman to be baptised by him and seems to be his only female follower for some time. Mary who has refused to be an object of an 'arranged marriage' reveals this situation that many young women of her time and culture found themselves to be in. Mary is in the background at the Crucifixion, allowing the other Mary, the Mother of Jesus to take precedence. After this Crucifixion Scene, Mary of Magdala is the first person to speak with her Risen Lord. It is she who explains the message of the Resurrection to the Male Apostles who are in shock and disbelief! 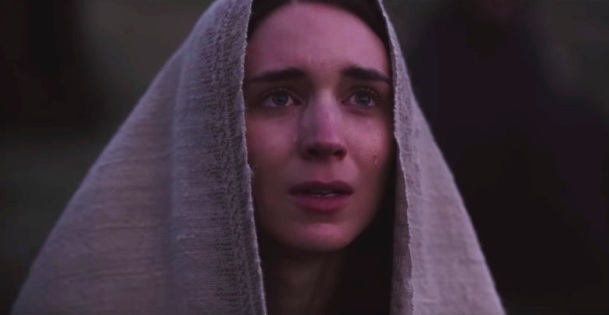 In the film, we see Mary with a band of female followers who set out immediately after her encounter with the Risen Lord to spread the news of the Resurrection. Very deliberately and determined they leave behind the men and set out with enthusiasm to go and spread the Good News. The birth of a Missionary Church! This film story line ends here as these women believers walk away into a New World to proclaim a message that can change the World. This is a gentle and calm presentation of a powerful message which is well acted and shows Mary as a leader who after her encounter, embarks on her mission to show others how to live in hope and love in the presence of her Risen Lord in whom she believes and trusts. This shows Mary as having a key place in the ministry of Jesus. This film was shot in Matera in Southern Italy. Ironically, this was the last production of Harvey Weinstein, hence it has been unable to be released in USA. Rooney Mara felt obliged to say that although she had been brought up a Catholic she no longer subscribes to any organised Religion. Those of us who have travelled, especially in Europe, will have come across Mary Magdalene in many works of art, that of a noble lady or indeed a lady of ill repute. She, after Jesus, his Mother and John the Baptist is the most popular character in Western Art. Colleges in both England’s oldest universities are dedicated to her. In Paris, the most important church after Notre Dame is La Madeleine. By some women Mary of Magdala is honoured as one who points to equality. She is a model for others and noted for her mysticism, zeal, enthusiasm and inspiration. This film shows her as a woman of faith; a woman who displays courage and strong leadership and appears to be one who has the ability to Read and Interpret the Signs of the Times. Indeed most definitely is that of Pope Francis declaration 'She is the Apostle to the Apostles'. The film ends as it started with a Quotation from Matthew 13: 31. “a mustard seed is the smallest of all seeds but it grows into a bush so that the birds can settle on its branches”. A film worth viewing ! Text Sr Maureen Coyle snd .